This image was shot on May 5th, 2012 with our DMCII-140. Formally named LP Field, Titans Stadium is located in Nashville, Tennessee, directly across the river from downtown Nashville. It has a seating capacity of 69,143. The stadium is used primarily for sporting events and music concerts and festivals. It is the home field of the NFL’s Tennessee Titans and the Tennessee State University Tigers. It is also the site of the Franklin American Mortgage Music City Bowl, a postseason college football game played each December, and is occasionally used as a venue for soccer matches. 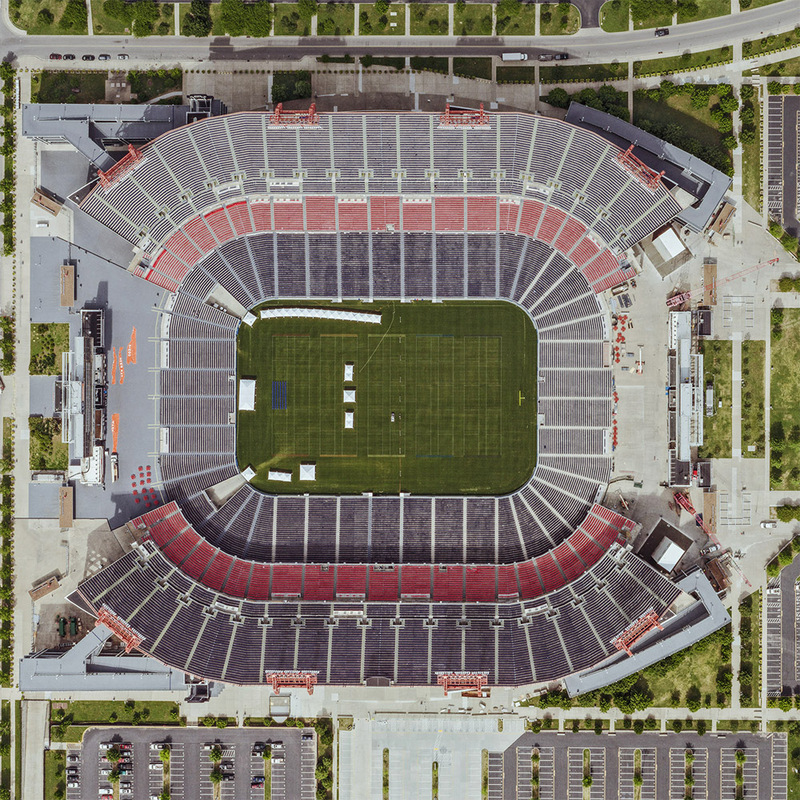 The stadium is also used for large concerts such as the CMA Music Festival nightly concerts which take place for four days every June. Construction of the stadium was completed in the summer of 1999 in time for the first scheduled event: a preseason game between the Titans and the Atlanta Falcons on August 27, 1999. The stadium received upgrades during the summer of 2012 which included two new high-definition ANC brand LED video displays measuring 157 feet by 54 feet, replacing the entire end zone scoreboard apparatuses. At the time of installation, the two boards became the second-largest displays in the National Football League (trailing only Cowboy’s Stadium in Arlington, Texas).